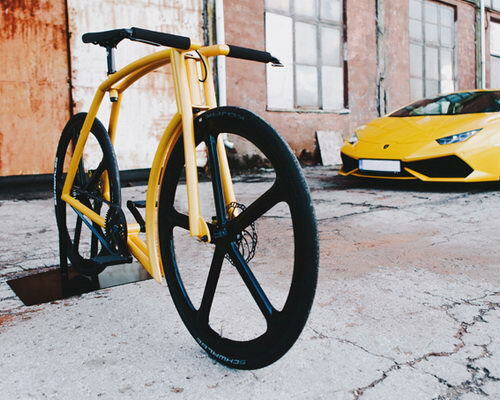 Tinuku ~ Indrek Narusk bring aluminum alloy for Viks GT bike design inspired by Lamborghini. 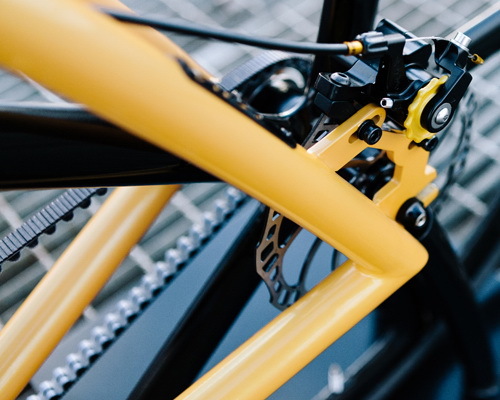 Bicycles 40 percent lighter than previous model stainless steel version using belt-drive to connect pedal with rear gear. 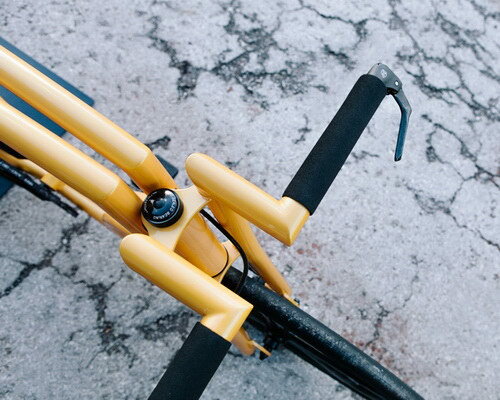 Designers Estonia and founder Velonia Bicycles, Indrek Narusk, in 2013 comes with stainless steel bike Viks and followed by carbon fiber Viks in 2015. Now Narusk announced aluminum alloy Viks GT inspired by Italian supercar Lamborghini. 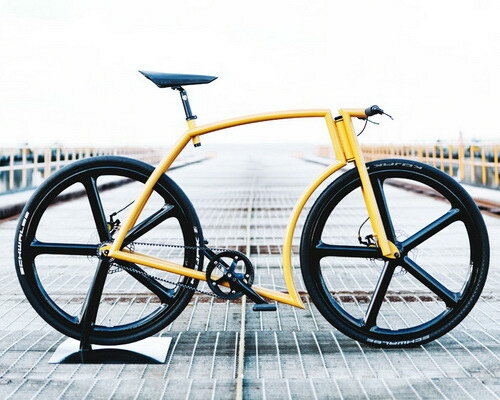 Following two predecessors, single frame basically composed of two tubular frame side-by-side joined at head tube and put seat and bottom bracket. 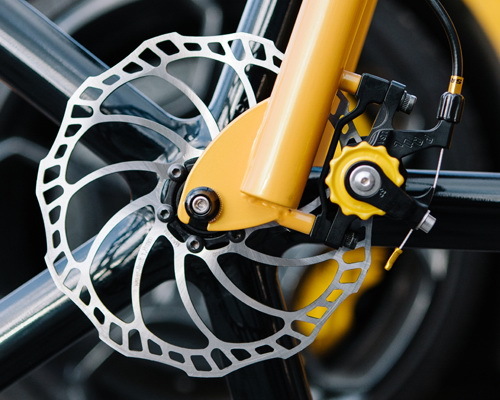 Geometry and design of the same size as other versions, but entirely made aluminum alloy. Angle frame curved like two other models, Viks GT tapered at each corner like sharp edge lines of triangle found in Italian supercar Lamborghini design. Rounded front frame following line of wheel rim five bars. Aluminum material used more lighter 40 percent of original stainless steel version. All models handmade in Viksfactory in Tallinn, Estonia, and cut using laser. It takes three full working days to cut, bend, weld and paint. 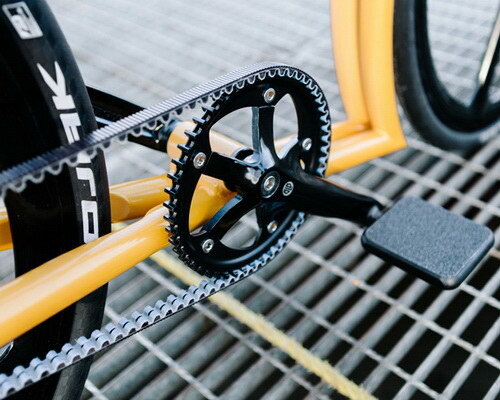 The use belt-drive to connect pedal and rear gear generate power more efficiently. Construction enables neat, clean and simple design. Shape unique frame impressive robustness and strong thick tube welded keep Viks remains solid and secure.